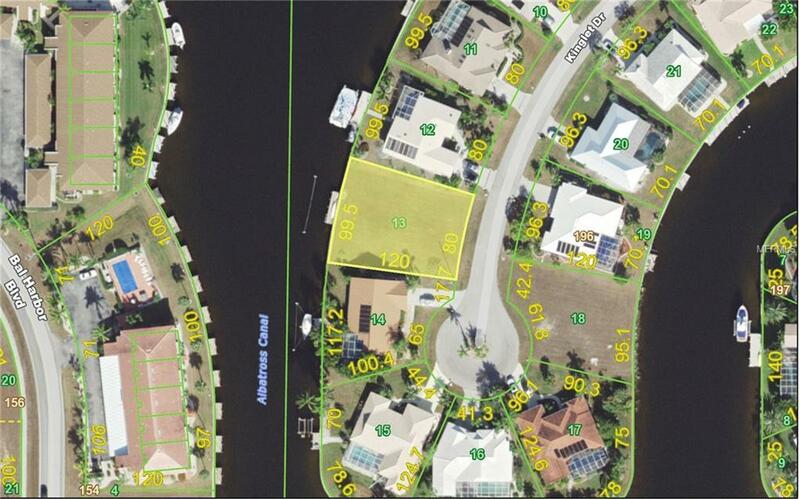 Fabulous waterfront lot located in desirable Punta Gorda Isles. SAILBOAT ACCESS (no bridges) to Charlotte Harbor and on to the Gulf of Mexico. 100 FOOT concrete seawall is maintained by the city. 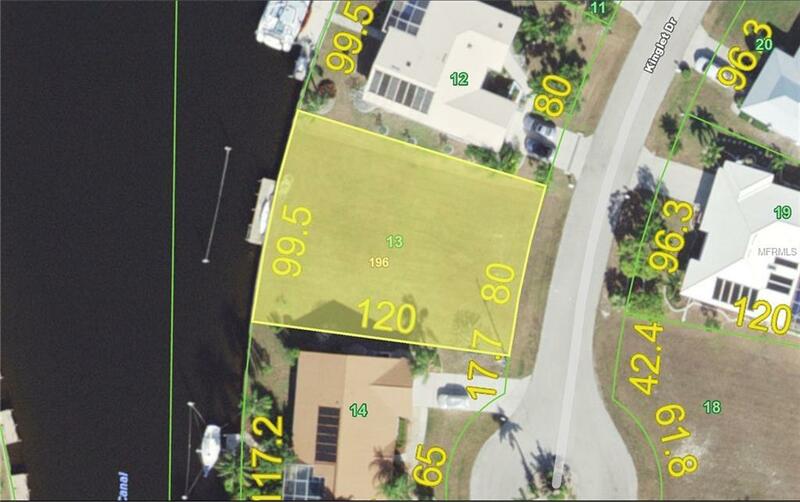 This lot also has a 32 foot concrete dock with 5 pilings at the dock and 2 additional pilings 20 feet out from the dock. Wide water view. Situated on a wide section of the Albatross Canal overlooking large turning basin. Located on a quiet dead end street just before the cul-de-sac. Area of upscale homes. City water and sewer are available. Minutes to Golf, Fishermen's Village and historic downtown Punta Gorda shopping, dining, medical care, waterfront parks, fishing piers, art galleries, events and more. Build your dream home on this great lot in a wonderful community.